Israel’s navy arrested seven Palestinian fishermen off northern Gaza on Wednesday, officials on both sides said, with the army claiming their boats had strayed beyond the permitted fishing limit. 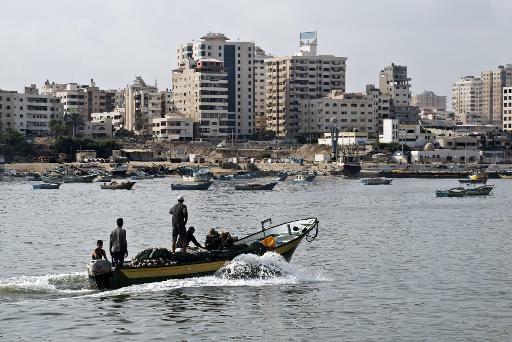 “The Israeli navy arrested seven fishermen from one family in Sudaniya in the sea off northern Gaza,” the head of the Gaza fishermen’s syndicate, Nizar Ayash, told AFP. The army confirmed the arrest of seven fishermen on two boats, saying they had strayed beyond the six-nautical mile fishing limit imposed as part of Israel’s naval blockade. “This morning, two vessels sailed beyond the permitted fishing zone,” a spokeswoman told AFP, saying troops had fired warning shots to halt them that were ignored. Troops then fired rubber bullets towards the boats, wounding one of the fishermen “very lightly,” she said. All seven were taken for questioning. According to the terms of an August 26 truce agreement which ended a deadly 50-day war between Israel and Hamas militants, Gaza fishermen are permitted to trawl the waters up to six nautical miles off the shore. Under the 1993 Oslo peace accords, the fishing limit was set at 20 nautical miles. But Ayash accused Israel of constantly violating the terms of the agreement. And the Gaza-based Palestinian Centre for Human Rights accused Israel of imposing a de facto naval “buffer zone”, with troops stopping boats even before they reached the outer limit. It said troops had fired on fishing vessels 18 times during September alone, and they had arrested fishermen on four separate occasions. “Israeli naval forces have not allowed fishermen to sail up to this limit as all Israeli attacks have taken place within the six-nautical miles fishing area,” a PCHR statement said. “Preventing Palestinians from accessing their lands and fishing areas violates numerous provisions of international human rights law,” it said. Meanwhile, the army spokeswoman said troops apprehended a Gazan who had managed to cross the border into Israel. He was being questioned.